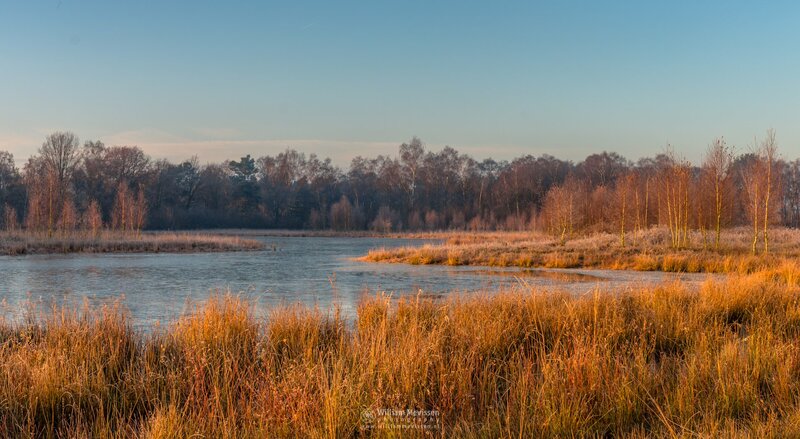 A frosty cold winter morning at nature reserve Boshuizerbergen (Venray, Netherlands). Click here for more information about photo 'Panorama Frosty Cold Winter Morning'. Panorama - Twilight Circle about 20 minutes before sunrise at nature reserve Ravenvennen in Lomm, north of Venlo (Netherlands). Click here for more information about photo 'Panorama - Twilight Circle'. This is a panorama of 7 vertical shots. Expand photo and move mouse or swipe to left or right. Forest brook Oostrumse Beek in the forest of estate Landgoed Geijsteren (Venray, Netherlands). 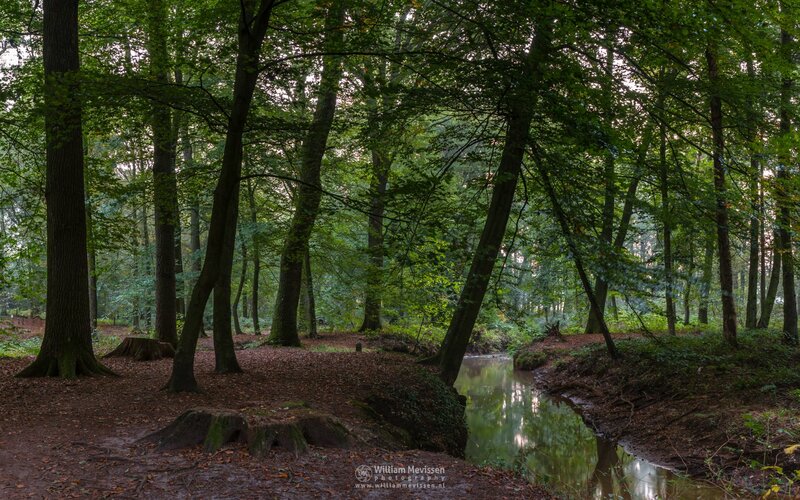 Click here for more information about photo 'Panorama - Forest Brook'. This is a panorama of 4 vertical shots. Expand photo and move mouse or swipe to left or right. Click here for more information about photo 'Panorama - Autumn At The Watermill'. This is a HDR panorama of 7 single shots with each shot at 3 different exposure levels merged together in Lightroom. Expand photo and move mouse or swipe to left or right. A beautiful sunrise at nature reserve Ravenvennen in Lomm (Netherlands). Click here for more information about photo 'Panorama - Sunrays Ravenvennen'. This is a HDR panorama of 4 vertical shots with each shot at 3 different exposure levels merged together in Lightroom. Expand photo and move mouse or swipe to left or right. The Encounter during a cloudy sunrise at nature reserve Bergerheide, part of National Park De Maasduinen (Nieuw Bergen, Netherlands). Click here for more information about photo 'The Encounter'. A Colorless Morning on a grey misty morning in nature reserve Ravenvennen in Lomm, north of Venlo (Netherlands). Click here for more information about photo 'A Colorless Morning'. Sunrise Burst on a very cloudy morning at nature reserve Bergerheide, part of National Park De Maasduinen (Nieuw Bergen, Netherlands). Click here for more information about photo 'Panorama - Sunrise Burst'. A Painted Sky during a cloudy sunrise behind me at nature reserve Ravenvennen in Lomm, north of Venlo (Netherlands). Click here for more information about photo 'Panorama - A Painted Sky'. A cloudy sunrise at the shifting sand area of nature reserve Bosserheide part of De Maasduinen National Park (Well, Netherlands). 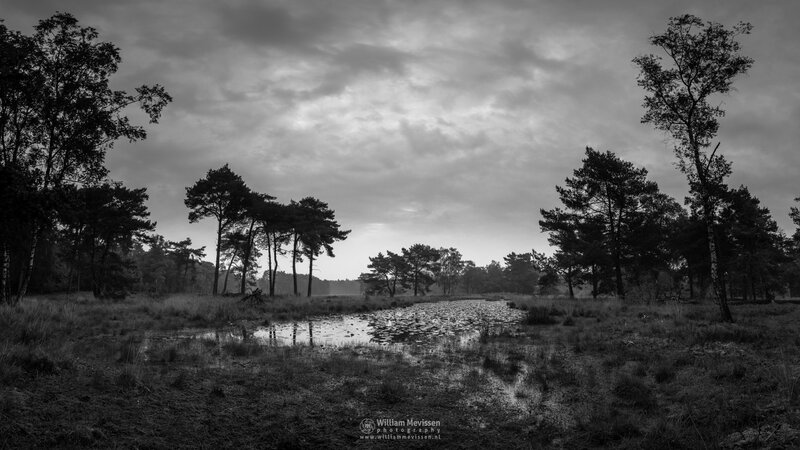 Click here for more information about photo 'Panorama - Bosserheide'. This is a panorama of 3 single shots. Expand photo and move mouse or swipe to left or right. Click here for more information about 'Bosserheide'. 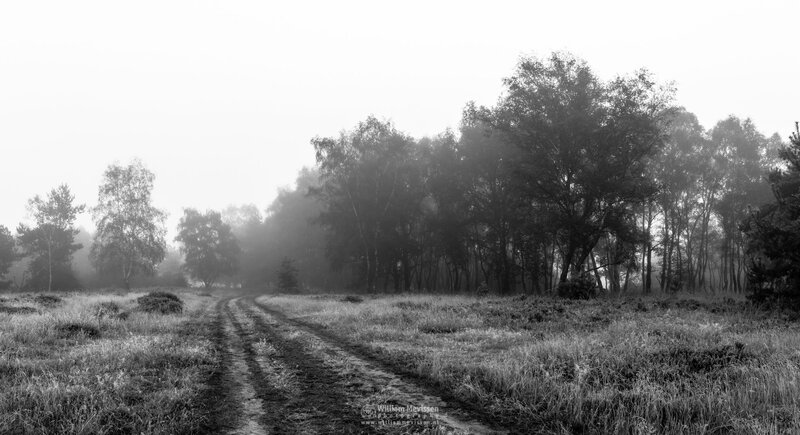 Forest path in black & white on a foggy and cold autumn morning at nature reserve Bergerheide, part of National Park De Maasduinen, Nieuw Bergen (Netherlands). Click here for more information about photo 'Colorless Forest Path'. Sunrise at the fen Lelieven during sunrise on a cold december morning at nature reserve Bergerheide, part of National Park De Maasduinen, Nieuw Bergen (Netherlands). Click here for more information about photo 'Lelieven Sunrise Light'.